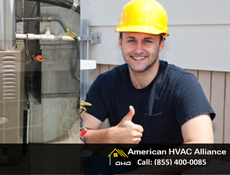 Are you looking for the best Air Conditioning and Heating Contractors in Pasadena CA? HVAC units usually end up breaking down at the worst possible time. Or at least that's how it seems, when your air conditioning breaks down during the hottest day in summer. Or of course the reverse could happen and your heater breaks down during the coldest winter night. HVAC Xperts Pasadena are here to fix your unit when you most need us. No matter when your unit fails, we always have people on standby for emergencies. If you need to have your furnace fixed, the best time to get it done is before it starts getting really cold. You can save yourself from a lot of trouble in the winter months, by calling us today and let us do a complete checkup of your furnace system. Our technicians will conduct a thorough inspection of your entire system and alert you to any worn-out parts that may need replacement. When your household relies on an hvac appliance for hot water and heating your property, it makes sense to make sure your unit is operating efficiently and you're not wasting energy on a system that isn't working at full capacity. We offer professional repair and maintenance services for our clientele in Pasadena California. Contact us at anytime for a free estimate and we'll dispatch a technician at your earliest convenience to assess the efficiency rate of your entire system. Our technicians are qualified to work on both electrical and gas appliances. So no matter what type of system you have, we can help fix, maintain or install any type of heating and cooling appliance you need. Few situations are worse than having to spend a hot summer night without an air conditioning system to make the temperature bearable. If you system is in need of repair or servicing we are no more than a phone call away. We install A-rated air conditioning systems and you can be sure that your unit is environmentally friendly with a minimal carbon footprint. Our Air conditioning installation experts are trained and qualified to work on all major air conditioning brands.